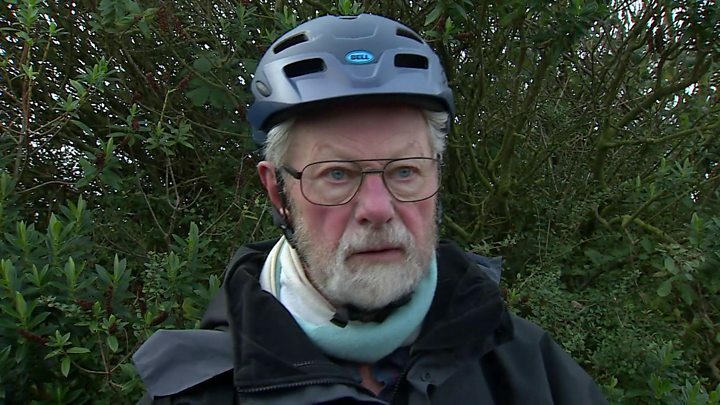 The man who helped free the Duke of Edinburgh from his Land Rover after his crash has described how he saw the vehicle “careering” across the road. Prince Philip, 97, was not injured in Thursday’s crash, also involving a Kia, and is recovering at Sandringham. A nine-month-old baby in the Kia was uninjured. The driver, a 28-year-old woman, had cuts while a 45-year-old female passenger broke her wrist. Witness Roy Warne said the duke asked about their welfare after the crash. Mr Warne was driving home when he saw the car roll and end up on the other side of the road. He said the duke was “obviously shaken” but managed to stand up and ask how the others involved in the crash were, he said. Mr Warne told BBC Radio 4’s Today programme: “I saw it careering, tumbling across the road and ending up on the other side. He said that after seeing the crash, on the A149 near Sandringham: “I went to the other car. There was a baby in the back and, with another man, we got the baby out. The two women in the Kia were taken to the Queen Elizabeth Hospital in King’s Lynn to be treated for the broken wrist and cuts to the knee, and were later discharged. The duke saw a doctor as a precaution. Norfolk Police said it was standard policy to breath test drivers involved in collisions and both had provided negative readings. The incident will be investigated “and any appropriate action taken”, the force added. In November 2018, there were 5.3 million over-70s with full driving licences in Britain, according to the Driver and Vehicle Licensing Agency. There were 11,245 people involved in road traffic accidents where the driver was in that age group – a rate of two per 1,000 licence holders. For Britain’s 2.8 million drivers aged 17 to 24, the rate was more than four times as high, at nine per 1,000. The DVLA did not provide figures on whether this simply reflected that the older age group were on the road less than the younger age group. However, a separate study from the National Travel Survey suggests that over-70 drive an average of 1,000 miles a year more than under-20s. He said he couldn’t remember what the duke had then said, but added that “it was nothing rude”. “He was obviously shaken, and then he went and asked if everyone else was all right,” said Mr Warne. Mr Warne said there was “a little bit of blood” and that a member of what he described as the royal entourage gave him a wipe for his hands, adding “a lot of people arrived very quickly”. One of the two women involved in the crash had a broken arm, Mr Warne believes. “They were very shaken and one of them was the mother of the child and she was quite upset,” he said. 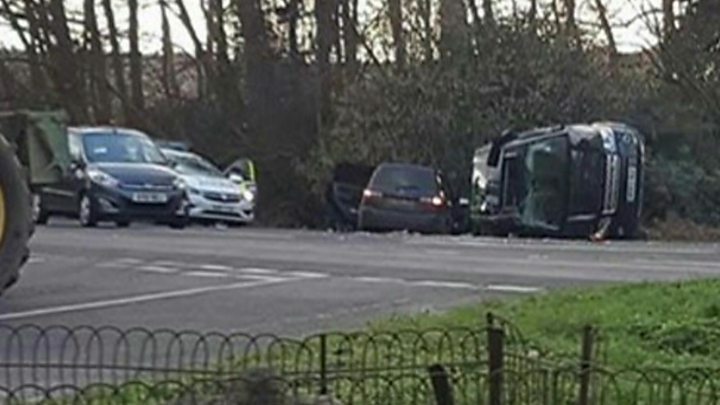 Norfolk County Council was already due to discuss safety issues on the road – described as a “rat run” by one local – before the crash took place. The authority is expected to lower the maximum speed limit from 60mph to 50mph and approve installing average speed cameras on the road. Were you in the area at the time of the crash? Did you witness what happened? If you have information you can share please email haveyoursay@bbc.co.uk.